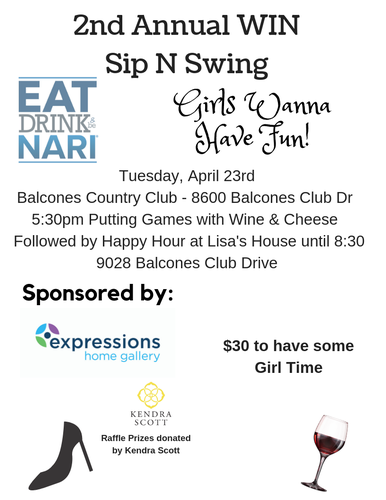 Ladies come on out and have some fun! 5:30 we will play some putting games with Wine & Cheese. Afterward, we will head to Lisa's house for some more fun!